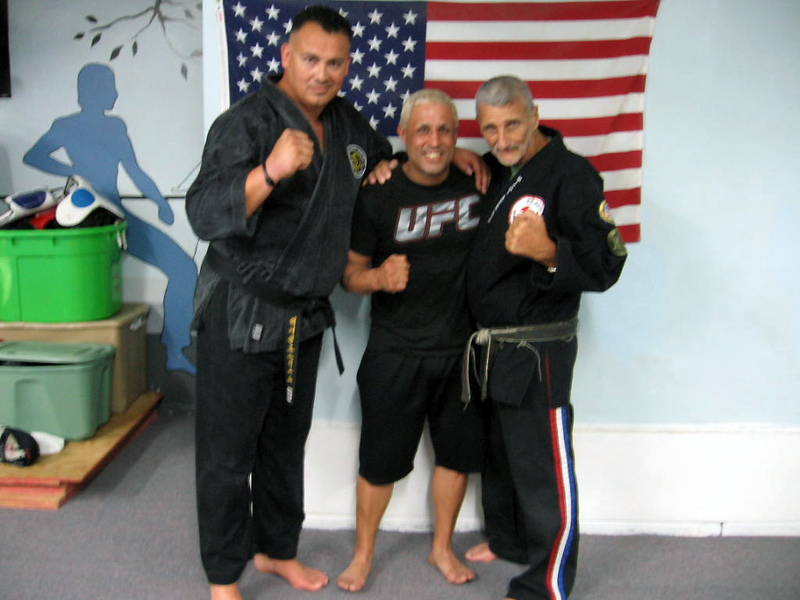 Recently Grandmaster Marchetti gave a seminar at Reyes Martial Arts and visited with multiple MMA Champion Manny Reyes Jr. and Grandmaster Hector Rodriguez. Among other things Grandmaster Marchetti instructed several defenses against leg oriented take downs with Manny Jr’s son. We hope you enjoy the photos below! MMA Champion Manny Reyes Jr. and his son work take down defense under the eye of Grandmaster Marchetti. MMA Champion Manny Reyes Jr. and son. This “chicken wing” follows the take down defense.